Somewhere in the Star Wars mythology, this little known, triple Emmy award-winning TV show seems to have been forgotten. Before the CGI animated movie and show that was released in 2008, there was this little known gem which comprised small, 5 – 8 minute shows that told the story between Attack of the Clones and Revenge of the Sith. It is also, actually pretty good. The show aired on Cartoon Network and anyone familiar with their cartoons will recognise the animation style. To begin with the series lacks any coherent story and is just a series of battles featuring one or more of the central Jedi. This makes for a weak beginning to the series as each battle feels soul-less with no real reason or motivation other than “we’re at war.” The battles are interchangeable and make for a series of explosions, lightsaber moments and lots of faceless soldiers dying. The show does develop further though and the more it continues, the better the stories become. In fact, it is the faith that George Lucas and the producers behind the Star Wars prequel had in the show to fill in the gaps between two of Star Wars biggest movies which adds some quality to the series. For example, this series explains how Anakin becomes a Jedi Knight (rather than a Padawan or trainee), how C3PO gets his shiny gold plating, the cough that General Grievous has and how the Senator becomes kidnapped: the story thread Revenge of the Sith picks-up. Add to this the fact that these stories are told in a mature and focused way. At no point, other than the animation, do you feel like you are watching a silly show. This isn’t necessarily aimed squarely at kids and has some disturbing imagery and key moments which develop Anakin’s characters further. A lightsaber battle between the Jedi and a Sith called Ventress is one of the best aspects of the series and has little touches, like the sizzling sabers in the rain, which add some gravitas to the scene. It also brings home the anger in Anakin and develops his fall further. When it comes to developing a story further, Clone Wars is almost essential viewing. The introduction of General Grievous is one of the better parts and is accomplished much better than the film manages it. The character takes on five Jedi, single-handed. This actually adds to how powerful he is and makes the real-life scene from Revenge of the Sith much better considering how strong the villain is portrayed here. Clone Wars makes good use of it’s license to create. New Jedi, of all different species and abilities are introduced. It demonstrates how to create a lightsaber and where it’s “laser” comes from. Even Samuel L Jackson’s Mace Windu gets an episode, taking on a whole army of droids himself but remaining effortlessly cool. At times the series does make the Jedi characters more like superheroes and their abilities seem like they could win a war single-handed but you do have to remember that this is a kids show after all. 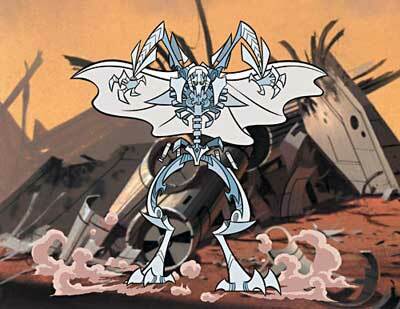 Overall, Star Wars: Clone Wars bares remembering. It’s importance to Star Wars isn’t just in the gaps between movies that it fills but also in the quality production, bringing new Star Wars stories to the screen, as well as developing some characters further than the films manage too. A forgotten series that bares revisiting. Best Episode – There isn’t one. This series is best watched as two separate, hour-long volumes. Best performance – General Grievous character introduction is handled best and makes the character much better than the movie manages to. Should there be another season? – There didn’t need to be. This show fills the gap and answers the key questions the movies didn’t find time to.